As we drive to Manchester Airport, at 4am, the temperature is a steamy 17C. Mist rises around us and sits down in the river Bollin as we cross it, a dense unusual hot fog hanging low on the land. 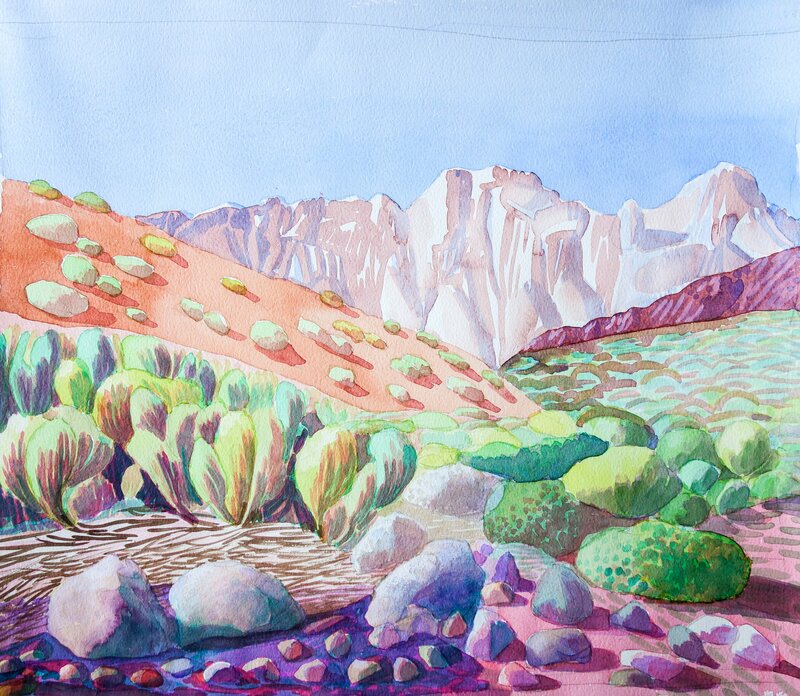 Yesterday was devoted to packing even though most items were already assembled, and had been ready for weeks, the day was spent in a flurry of weighing and decision making to ensure the lightest items went into the rucksack,. Foods had to be sorted and trail mix mixed up. Naturally all this weighed a ton. When we handed the sacks in to EasyJet, they weighed 15Kilos and 14Kilos, without our 2 litres of water each that we would need to take walking with us. 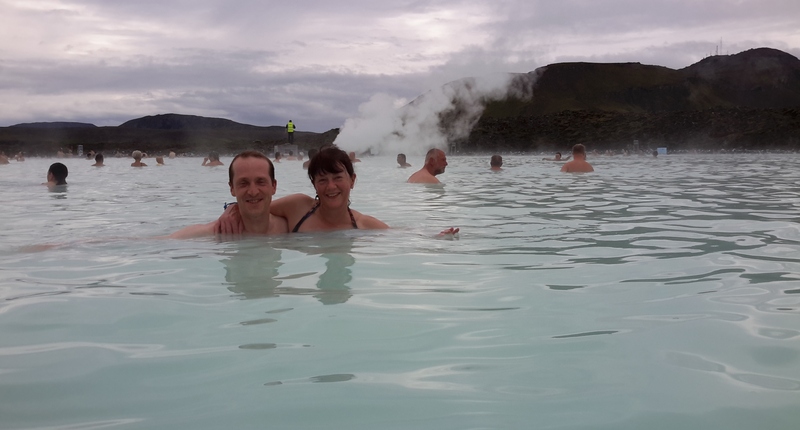 A bus from the airport takes us to the Power Station thermal Pools, ‘the Blue Lagoon’. It is a massive and slick operation, all tagging and scanning; spotless, efficient and wonderful. 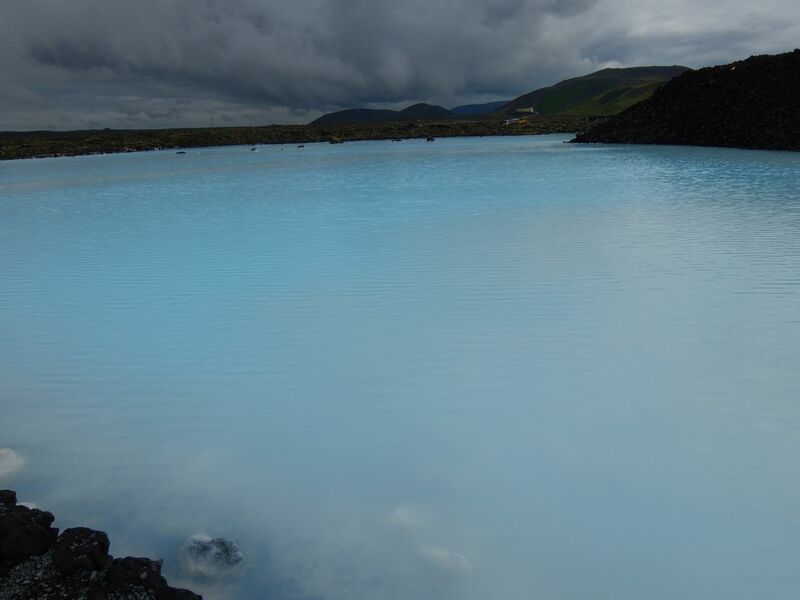 The pool is blue, milky blue, steaming and salty, also very large, we we enjoy swimming and wading to the different areas, including the large calcified fumarole puffing out steam and boiling water at one end. 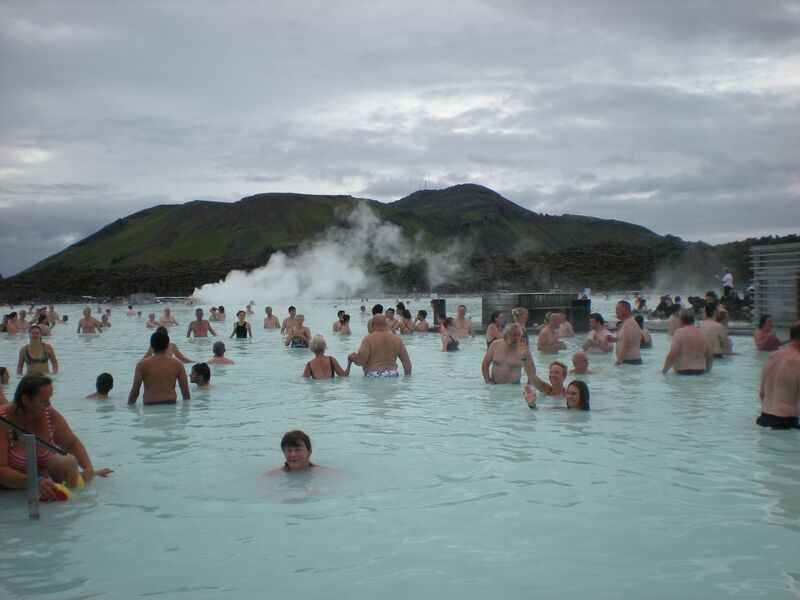 The water temperature in the bathing and swimming area of the lagoon averages 37–39 °C but as one swims around it is possible to find areas much hotter than this, where hot springs enter the pools. 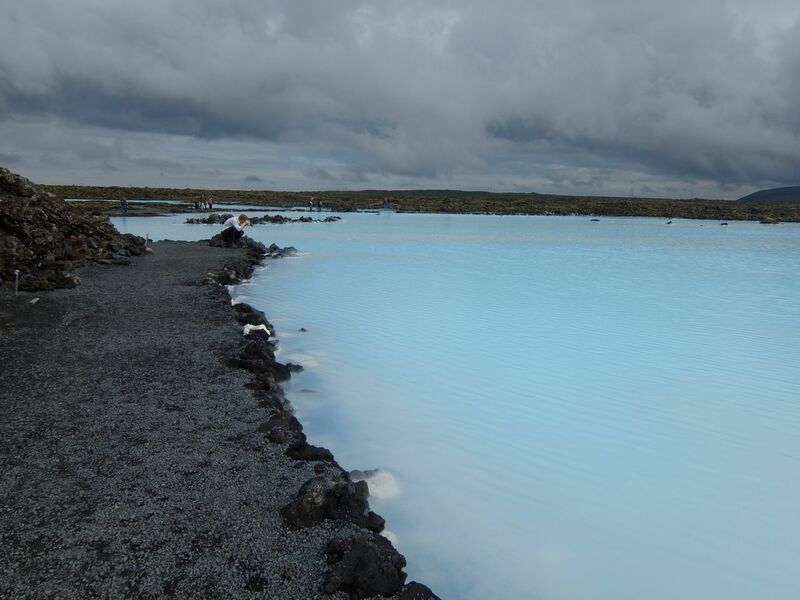 The lagoon is a man-made lagoon which is fed by the water output of the nearby geothermal power plant Svartsengi and is renewed every two days. Superheated water is vented from the ground near a lava flow and used to run turbines that generate electricity. After going through the turbines, the steam and hot water passes through a heat exchanger to provide heat for a municipal water heating system. Then the water is fed into the lagoon. 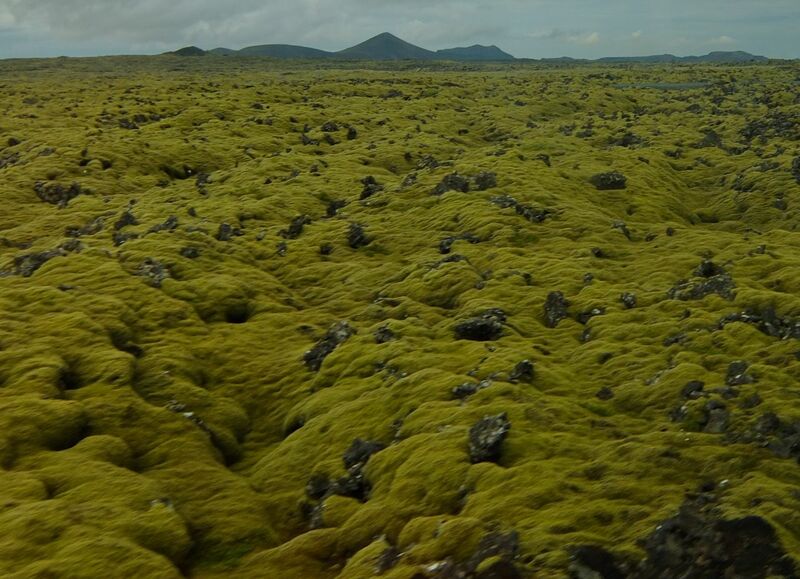 After the minerals have formed a deposit, the water reinfiltrates the ground, but the deposit renders it impermeable over time, hence the necessity for the plant to continuously dig new ponds in the nearby lava field. 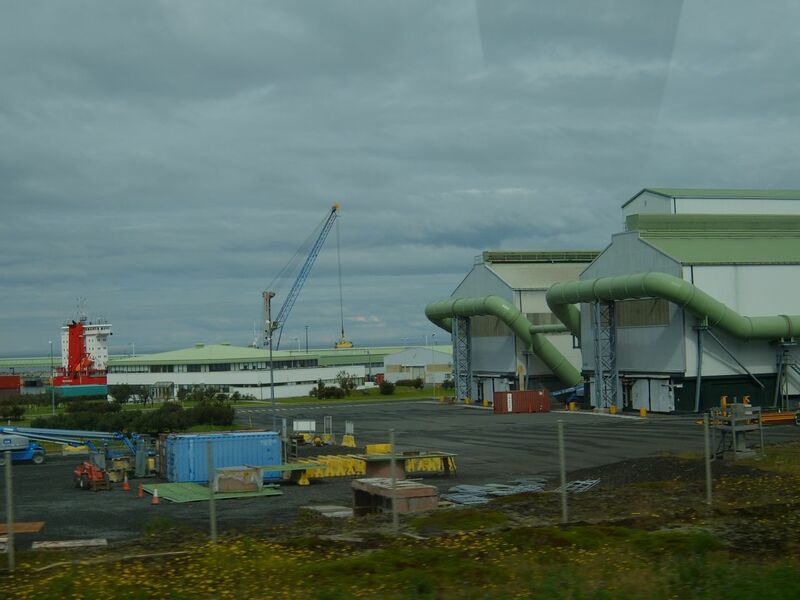 A small experimental facility is still visible near the plant, where the engineers made decantation tests to evaluate the speed of mineral deposition, which is clearly a limiting factor both to the plant’s rentability and sustainability. 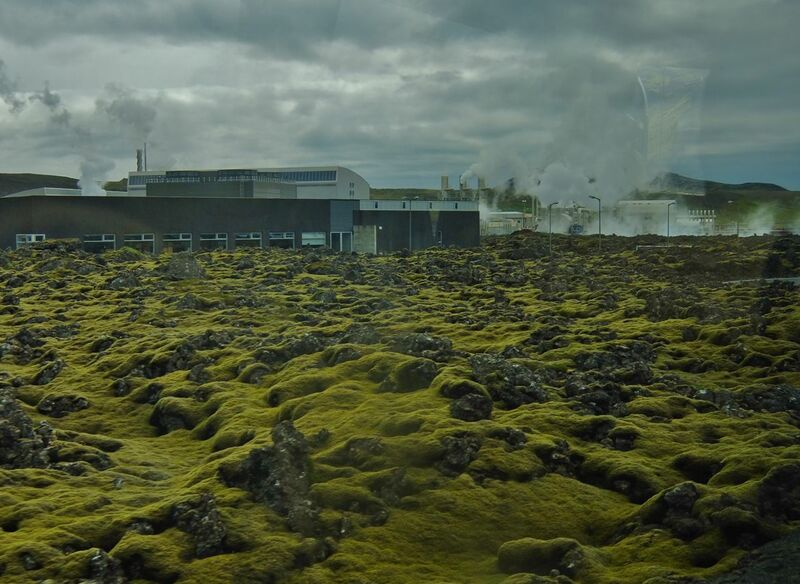 Hence, geothermal energy exploitation at this location is not without environmental impact. This entry was posted in FUN, ICELAND and tagged backpacking, bathing, geothermal, iceland, journey, lagoon, minerals, pool, reykjavik, spring, sulphur, travel. Bookmark the permalink.